As you may know, there are hotels made of ice and vacation accommodations in tree houses and tiny houses, but have you heard that in Tokyo, you can bed down in a bookshelf? As Dominique Mosbergen reports at the Huffington Post, “There’s nothing better than cozying up in bed with a good book … or, as in the case of this Japanese hostel, a few thousand of them. 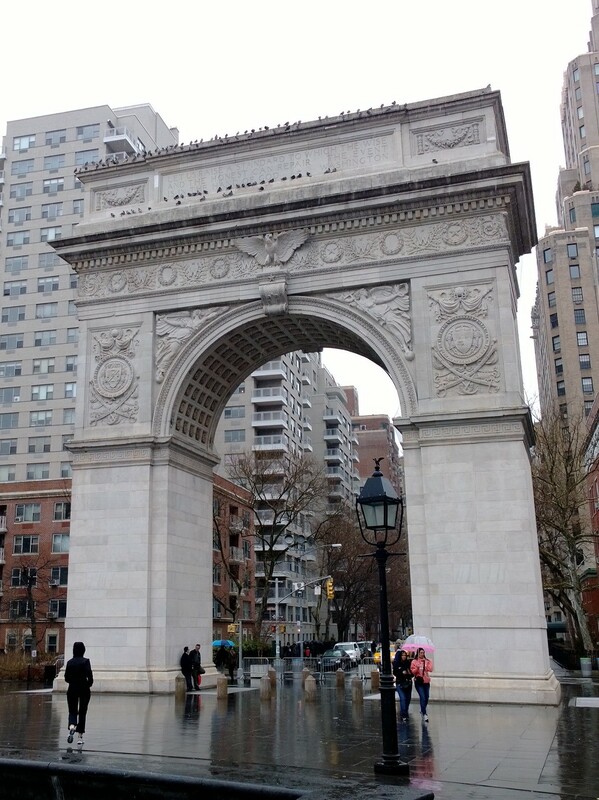 “It costs upwards of $34 a night to stay at Book and Bed. Each room comes with a simple mattress and reading light. There’s also free Wi-Fi.” More here. As much as I love to read, I’m not sure I’m adventurous enough to sleep in a bookshelf. If I ever go to Japan, a traditional ryokan would probably have more appeal. 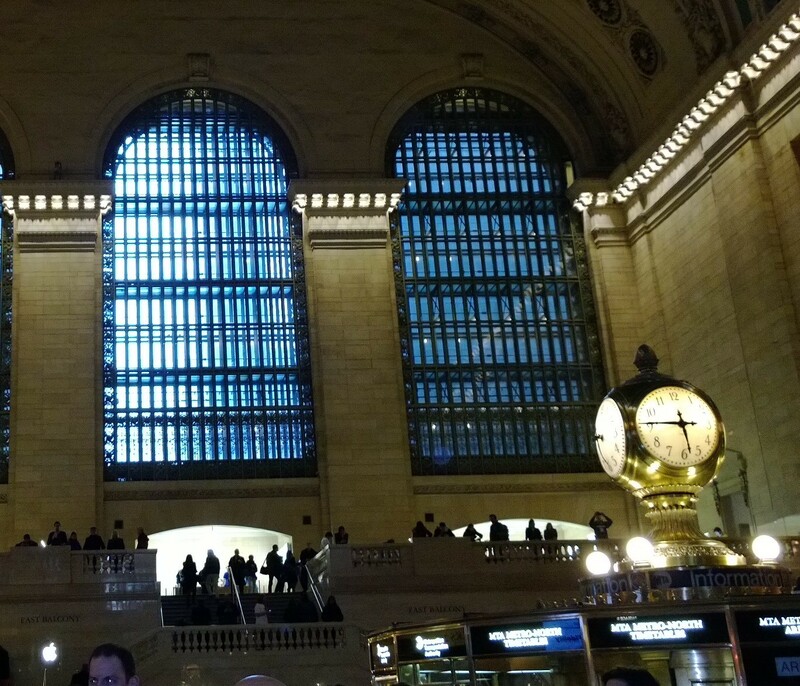 Random photos from my travels. 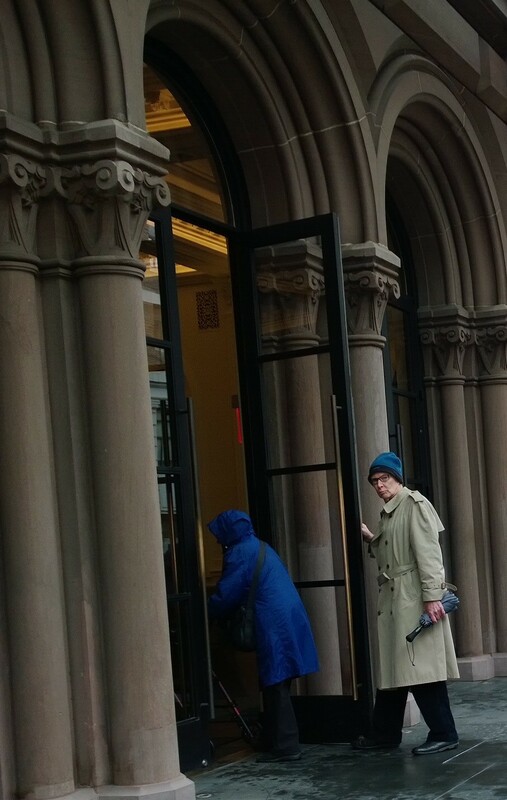 My husband going into the Public Theater to see classmate Ted Shen’s musical, A Second Chance. 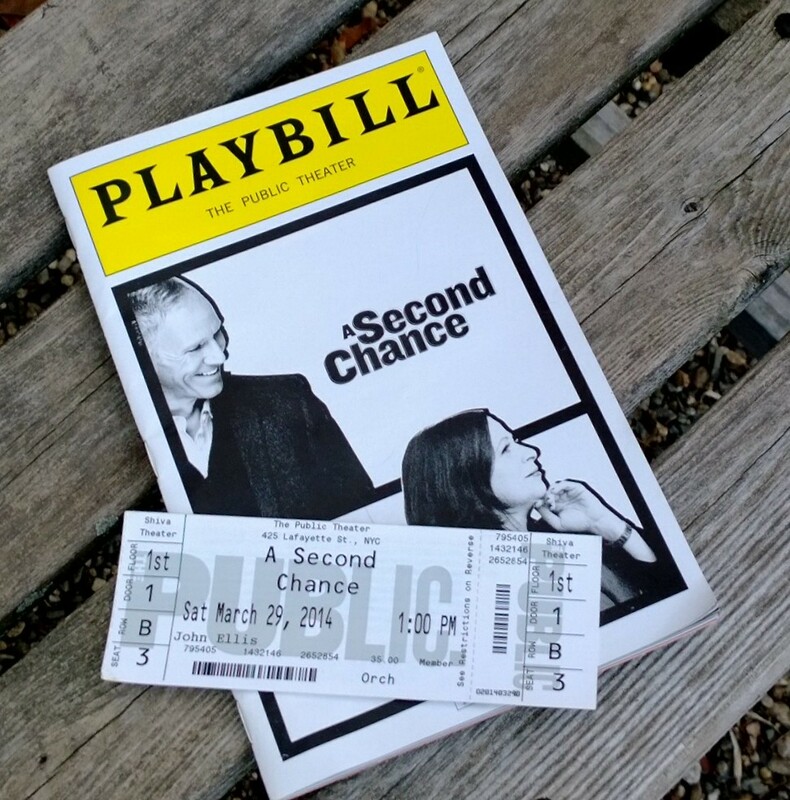 The Playbill for the show. 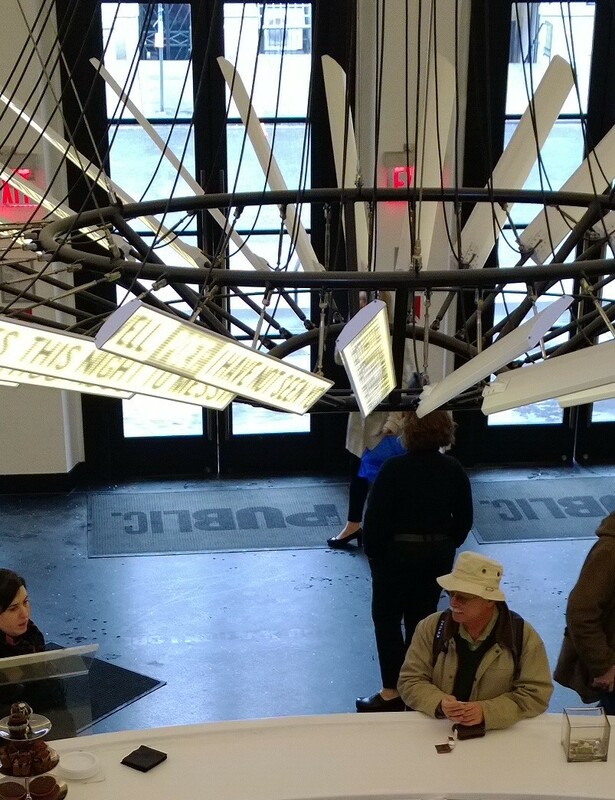 A delightful chandelier at the Public, with paddles that illuminate changing phrases. 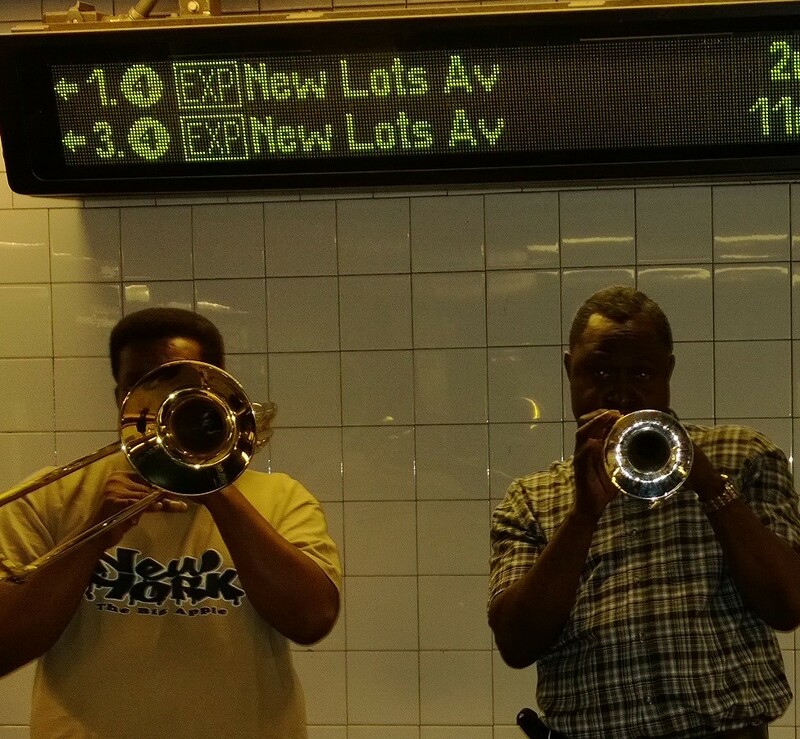 Subway buskers playing a grandson’s favorite song, “When the Saints Go Marchin’ In.” Grand Central Station. 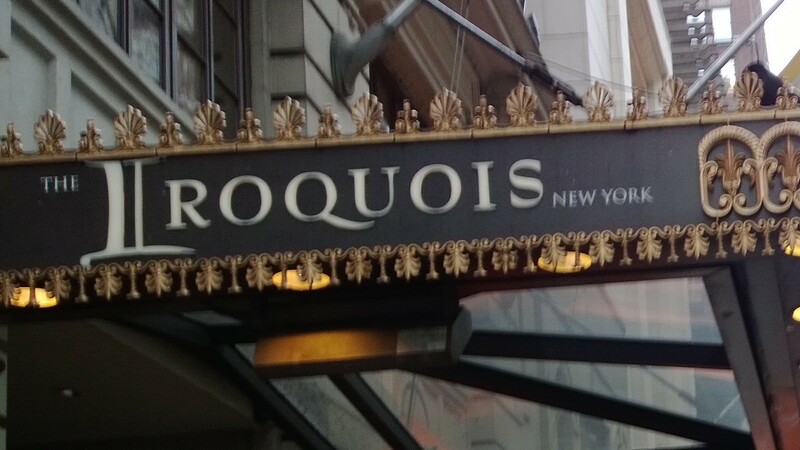 The charming Iroquois Hotel. 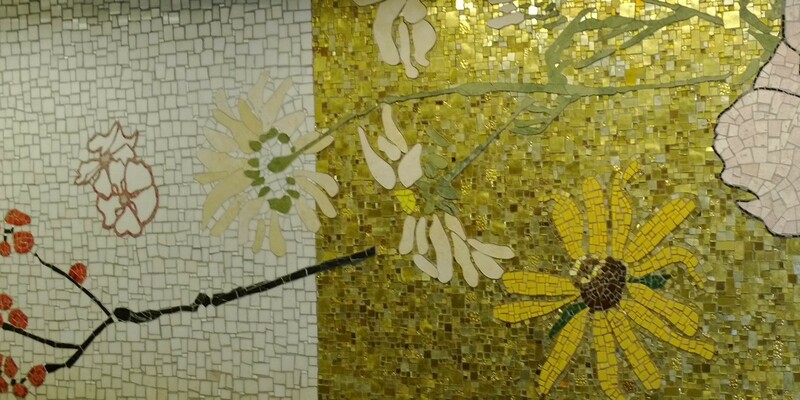 A flower-themed mosaic in the Lexington Ave. subway. 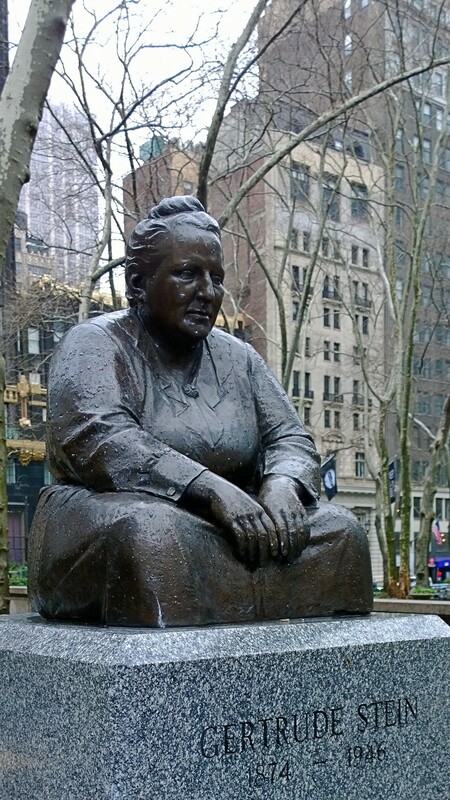 Gertrude Stein looking like herself in Bryant Park. 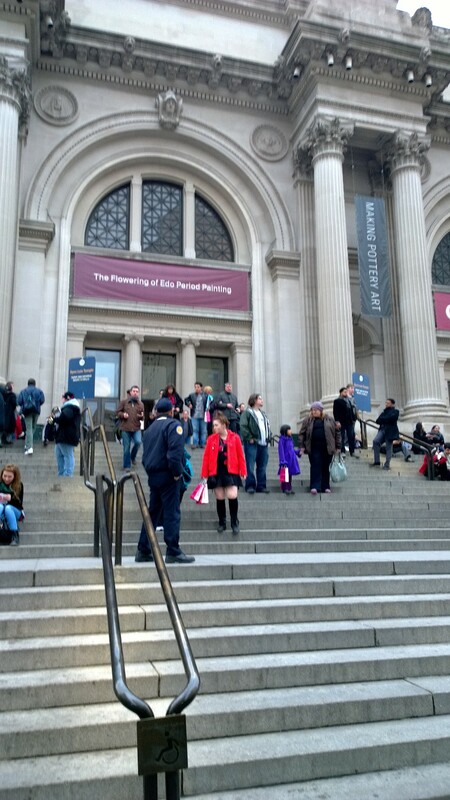 And the Metropolitan Museum, where we saw a great photography show with my sister and brother-in-law. More on that later.